Abstract: Profiling MVC production code at runtime can often be tough, messy and a performance hog. MiniProfiler created by the Stack Exchange team is an easy-to-setup-and-use profiling library for ASP.NET MVC and Entity Framework. 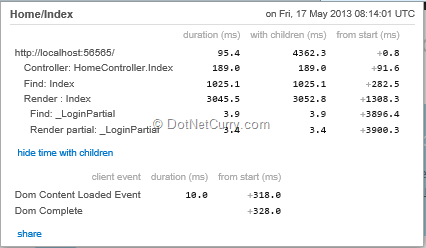 MiniProfiler is a profiling library that helps you monitor the performance of your ASP.NET application. It is performant enough to be used in production. Developed by some members of the StackExchange team, it is available as a Nuget Package and is easy to get started with. Today, we’ll see how we can use it to Profile an ASP.NET application using EF Code First as its Data Access layer. We will use an existing Sample from one of my older posts and add profiling to it. 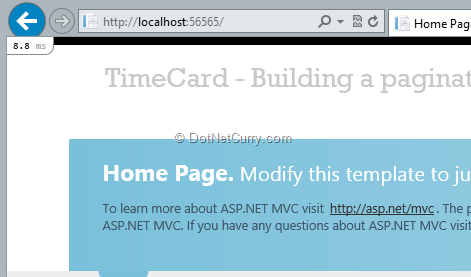 The DataList in ASP.NET MVC & KnockoutJS is an MVC Sample that uses AJAX to fetch/post data so we’ll be able to see both AJAX and Non-Ajax calls getting profiled. You can either start off with an existing project that you may want to profile or download the sample and follow along. MiniProfiler adds a small div on the top left corner of your home page that you can use to pull down the profiling details. So the first step is to add an Html Helper provided my MiniProfiler to your _Layout page. Add a reference to the StackExchange.Profiling namespace and then at the bottom of the page, insert a call to render the Profiler. In the Global.asax, add the following event handlers to start and stop the Profiler. The Request.IsLocal guard clause makes sure the profiler is only working when you are accessing the application in development or on the deployed server. That’s about it! Run the application now and you’ll see the profiler indicator come up. As you can see, there are two little divs on the top. 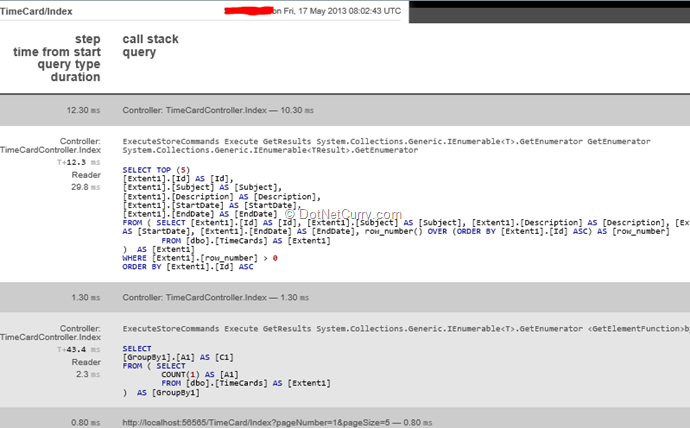 Miniprofiler automatically detected the AJAX call and added separate profiling information for the AJAX call. Expanding it shows us the Ajax query and the time it took to do the query. Now if you click on the ‘Next Page’ button to navigate to the next page, you will notice another little profile info button gets added with the new information. 1. Add inline code to add special profiling sections that emit information about how much time that section takes. Before I even get started, some people might be put off by the fact that you have to write additional code for profiling. Well, I say it depends on how closely you want to monitor your system. It’s much like logging. Note the using(profiler…) section that now encapsulates the DB Call. The string passed to the profiler.Step(…) method is the Label that will be shown in the profiler. Now run the Application and navigate to the TimeCard page. Expand the second profiler time. You see the Data from Database section that indicates how much time that section specifically took. Click on the show time with children to see when exactly the section started processing which gives us an idea of how much time was spent outside the section we marked. 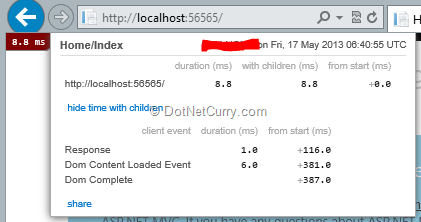 - The Ajax call itself took 282 ms including the child section. - The database section took 102 ms itself and it started 166ms after the Request was received. - Quickly calculating 282 – (166+102) = 14 ms were spent after the database call was executed. This is a load of good information but what if I don’t want to sprinkle code with profiler.Step(…) statements? Well you will lose out on the Granularity simple. However you can get a little more generic information if you want using the MVC Action Filter. In the App_Start\FilterConfig.cs, register the ProfilingActionFilter that comes in with MiniProfiler. As you can see this, is a pretty detailed dump of path taken to execute the Index action. Of course if you want to profile this as well your custom steps, you are free to do so. This picks up each view engine that is registered and wraps it in the ProfilingViewEngine wrapper. Internally the ProfilingViewEngine wrapper simply adds a call to the profiler.Step(…) and passes the call on to the base wrapper. As you can see, it logs time required to Find and Render each view. Once installed add the initialization call in Application_Start() event and you are good. 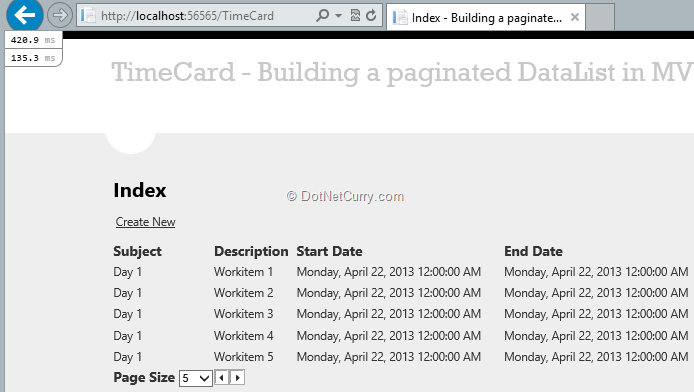 Run the Application and Navigate to the TimeCard index page. Note the ‘2 sql’ link and the extra query time column. WOW! That was truly a jaw-dropping moment for me! Our controller makes two calls to the database, one to fetch the data page of data and the other to get the count of rows. Both the queries that were executed are shown above and it includes time taken by each. The profiler can detect N+1 calls as well as duplicate queries (in the same context) allowing you to optimize and batch calls if possible. Way cool! Profiling infrastructure is extremely important for understanding and fixing problems and bottlenecks at runtime. The MiniProfiler built by the StackExchange team has a lot of things going for it by being easy to setup, easy to enable and having results that are easy to interpret. It is lightweight enough to be tried on production though your mileage may vary, so try it out on a staging system first. Please provide source code in zip and not in git. 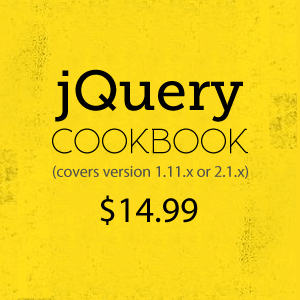 its too painful to go there and get the source code. Git provides a direct zip download link on the project site. An extra click shouldn't be all that painful. There are some people who like to browse the code, and other who like to fork! This is great. But if you are an admin of the system and would like to have a centralized view of the system, you need all MiniProfiler logs to be written to a file on the server. 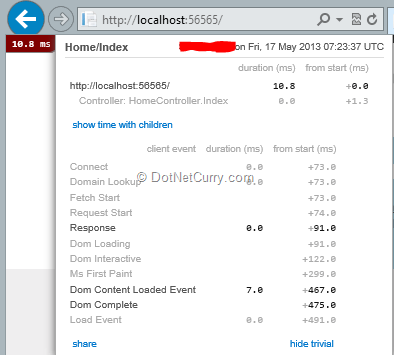 It has user ID, timestamp and duration logged for each request.